Nowadays, Android phones play a vital role in everyday life as it is required for basic need and also for the entertainment purpose. Everyone wants an affordable android phone equipped with all the latest technology and features like 4G VoLTE connectivity, HD display, latest Android OS which might be hard to find in most of the budget tight smartphones but still there are hopes in the vast market of emerging smartphones. In today’s fast growing technological era, some of the features have been commonly found in the budget- segment Android phones. Some of these gadgets featuring decent rear and front-facing cameras accompanied by an LED flash which helps to capture impressive photos during low-light conditions. This blog is meant for all those individuals who cant afford flagship smartphone right now and want to continue with the affordable smartphone as of now. 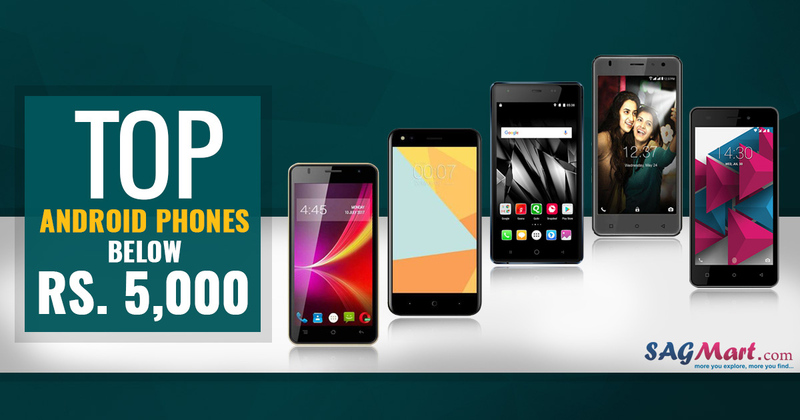 So, If you are in search of best phones 2019, here we are providing you a list of top rated affordable smartphones under 5000 that suit your pocket. 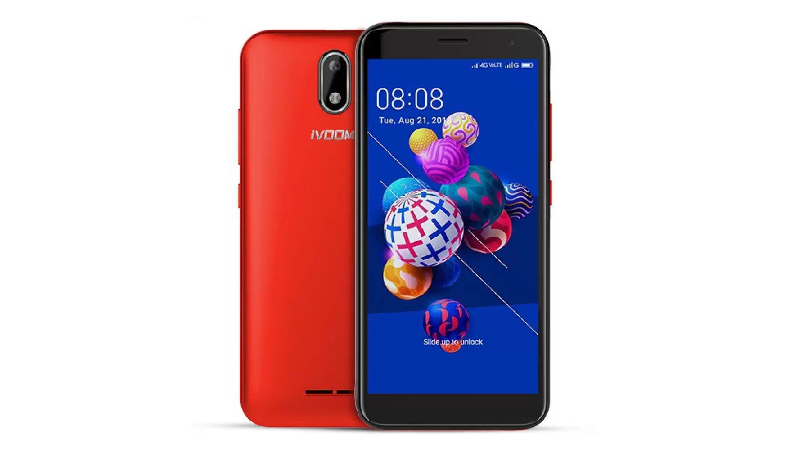 The latest iVoomi iPro smartphone was launched in September 2018 with a Face Unlock feature. The handset comes with a 4.95-inch FWVGA+ Capacitive touchscreen display with a resolution of 480 pixels by 960 pixels. The device is powered by a Quad-core, 1.3 GHz, MediaTek MT6737 processor with 1 GB of RAM and 8GB of internal memory that can be expanded up to 128GB via a microSD card. The iVoomi iPro packs a 5-megapixel rear camera and 5-megapixel front side camera sensor. The dual-SIM (GSM and GSM) phone runs on Android 8.1 Oreo (Go edition) Operating System and offers a 2000mAh Removable Li-ion Battery. On the connectivity options include Wi-Fi, GPS, Bluetooth, USB OTG, Micro-USB, FM, 3G, and 4G. 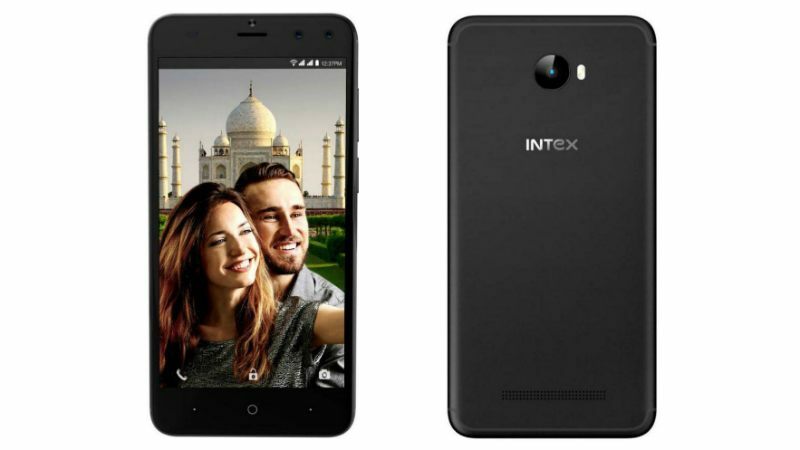 The new Intex Staari 11 price in India has been set at Rs. 4,499 and is exclusively available in Champagne and Black color options. The handset has a 5-inch IPS LCD capacitive touchscreen (720 x 1280 pixels) display. The device is Quad-core, 1.3 GHz, Spreadtrum SC9850 Processor paired with 2GB of RAM and 16GB internal space, that can be expanded up to 128GB via a microSD card. 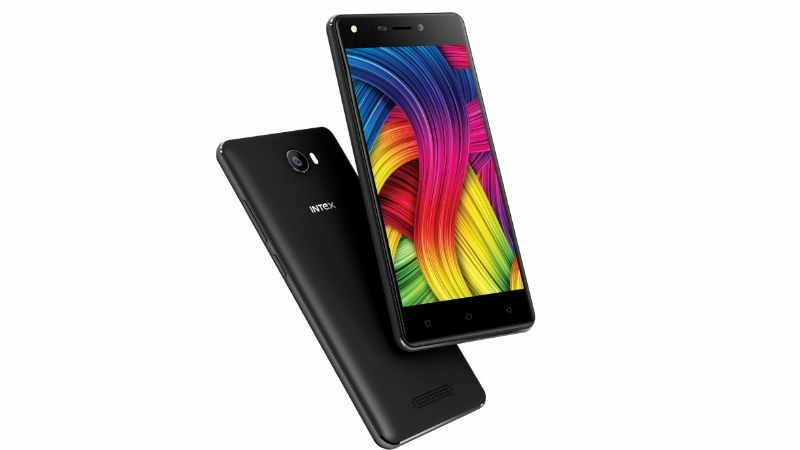 The Intex Staari 1 sports an 8-megapixel sensor at the back along with an LED flash and a dual camera set up at the front that is an 8+2-megapixel camera. On the connectivity options include 4G LTE, Wi-Fi, GPS, Bluetooth, micro USB, and a 3.5mm headphone jack. 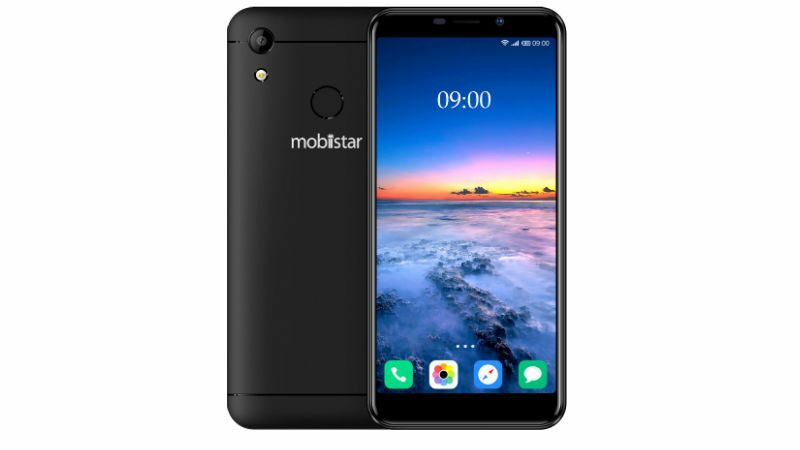 The Mobiistar C1 Lite was launched in August 2018 and offers a 5.34-inch FWVGA+ IPS capacitive touchscreen (480 x 960 pixels) display. The dual SIM mobile runs on the Android Oreo Operating System and embedded with 2700mAh removable Li-ion Battery. The device is powered by a Quad-core processor with 1GB of RAM and 8GB inbuilt space, expandable up to 128GB via microSD card. The Mobiistar C1 Lite packs a 5-megapixel selfie camera and a 5-megapixel rear camera. The connectivity options included are 4G LTE, 3G, Bluetooth v4.1, micro USB 2.0, Wi-Fi 802.11 b/g/n. 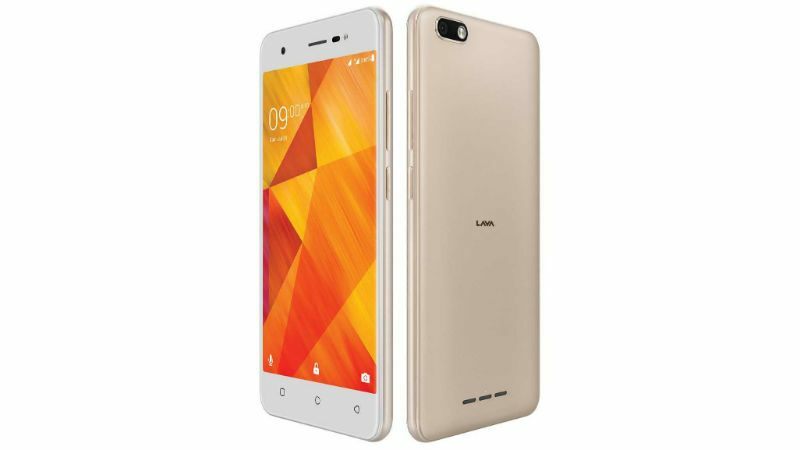 The Lava Z60s has been priced at Rs. 4,949 in India and available in Black and Gold color options. The handset comes with a 5-inch IPS LCD capacitive touchscreen (720 x 1080 pixels) display. The device is powered by a quad-core processor clocked at 1.5GHz with a 1GB of RAM and 16GB internal memory, that can be expanded up to 64GB via using microSD card. The Lava Z60s sports a 5-megapixel rear camera and a 5-megapixel front side camera with Bokeh Mode and LED flash. The dual SIM mobile fuelled by a 2,500mAh battery that is claimed to provide up to 15 hours 20 minutes of talk time. The connectivity options include 4G LTE, Wi-Fi, GPS, Bluetooth, micro USB, and a 3.5mm headphone jack. The Intex Indie 5 is the company’s latest smartphone in India which includes a Dragontrail glass protection, and an LED selfie light. 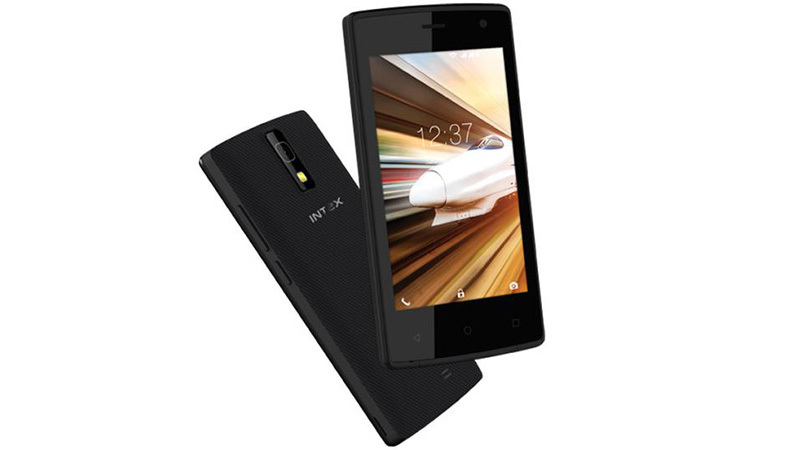 The smartphone is available in a Black color variant with the price tag of Rs. 4,999 in India. The device is has a 5-inch IPS LCD capacitive touchscreen (720×1280 pixels) display. The dual SIM mobile runs on Android 7.0 out-of-the-box and bears a 4000 mAh, Non-removable Li-ion battery. The Intex Indie 5 packs an 8-megapixel rear camera sensor with LED flash, and an 8-megapixel secondary camera for the selfie. The Intex Aqua A4 Plus is an affordable phone having 4G connectivity. The handset has a 4.5 inches TFT Capacitive Touchscreen (480×854 pixels) display and comes with two color options including black and champagne gold colors. The device powered by a 1.3GHz Quad-core processor with 1GB RAM and 8GB inbuilt memory, expandable up to 64GB via microSD card. The Intex Aqua A4 Plus packs a 5MP rear camera with good quality videos and for selfie lovers, 2MP front camera. The phone runs on Android v7.0 (Nougat) operating system and sports 2000mAh Removable Li-ion Battery. The connectivity options provides 4G VoLTE, 3G, Micro USB 2.0, Bluetooth v4.0, WiFi 802.11 b/g/n. 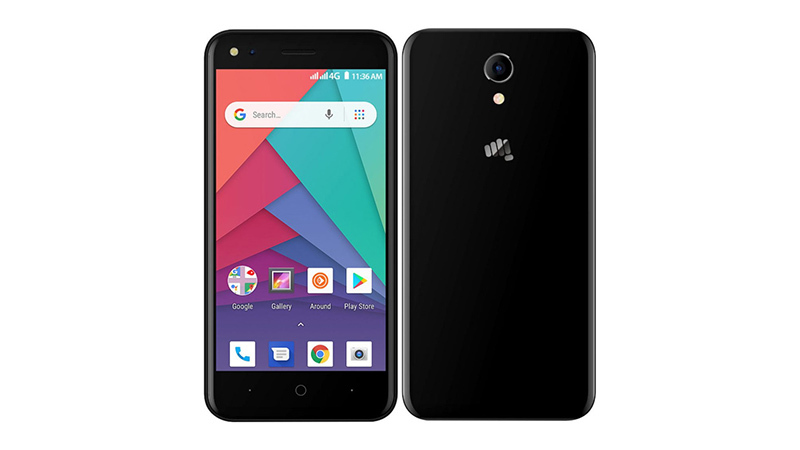 Micromax Bharat Go smartphone has been launched with Android Oreo Go Edition operating system. The handset sports a 4.5-inch FWVGA touchscreen (480×854 pixels) display along with pre-loaded apps like Maps Go, Gmail Go, Files Go, Chrome, YouTube Go, Assistant Go, Play Store, and GBoard. The device is powered by a Quad-core processor with 1GB of RAM and 8GB internal space, expandable up to 32GB by using microSD card.C connectivity options include 4G VoLTE, Wi-Fi 802.11 b/g/n, GPS, Bluetooth, Micro USB, OTG support, and 3.5mm audio jack. The Bharat Go packs a 5-megapixel rear camera and a 2MP front camera are present. Swipe Elite Dual has been launched in India with a dual rear camera setup at a price tag of Rs. 3,999. The firm gives offer an instant cashback worth Rs. 2,200 for customers opting Jio network. The handset 5.0-inch LCD touchscreen (480X854 pixels) display and comes with Black, Gold, and Silver colour options. The Elite Dual packs an 8+2-megapixel Dual camera on the back coupled with 5-megapixel front side camera. 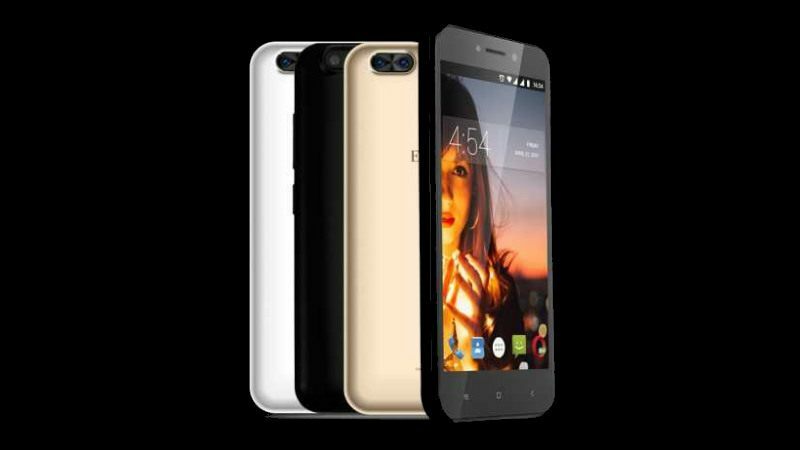 It has been powered by a 1.3GHz Quad-core processor with 1GB of RAM and 8GB inbuilt memory, expandable up to 64GB via microSD card. The connectivity options include are 4G VoLTE, 3G, Micro-USB, Bluetooth v4.0, Wi-Fi. 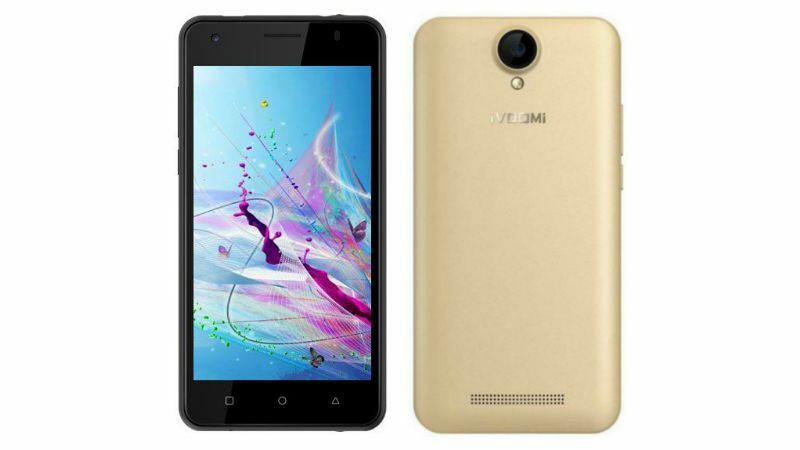 The iVoomi V5 price in India has been set at Rs. 3,499. The handset is available for purchase in Jade Black and Champagne Gold colour options via Snapdeal. The smartphone has a 5-inch FWVGA capacitive touchscreen (480×854 pixels) display. It has been powered by a 1.2GHz, Quad-Core processor with 1GB RAM and 8GB Internal space, expandable up to 128GB via microSD card. The iVoomi V5 has a 5-megapixel camera sensor on the rear along with an LED flash and a 5-megapixel camera for a selfie. The connectivity options included are 4G VoLTE, 3G, Bluetooth, micro USB v2.0, Wi-Fi options. Aqua Jazz smartphone has been launched in India with a fingerprint sensor. 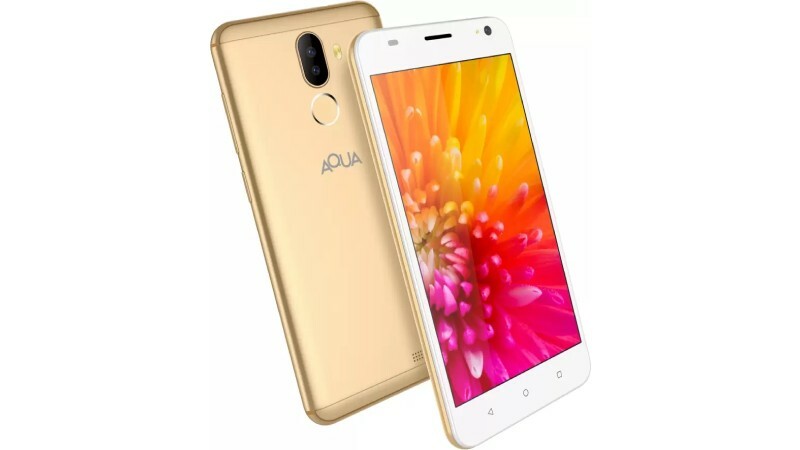 The Aqua Jazz packs a 13+5-megapixel Dual rear camera and 5-megapixel front side camera. The device has 3G, 4G LTE, Bluetooth v4.0, microUSB, OTG, FM Radio, Wi-Fi 802.11 b/g/n connectivity options. The device runs on Android 7.0 Nougat and is powered by a 2800mAh Li-Ion battery. The mobile comes with a 5-inch touchscreen display with a resolution of 720 pixels by 1280 pixels. The Dual-SIM phone has been powered by a 1.3GHz Quad-core processor with 1GB RAM and 16GB inbuilt memory, expandable up to 128GB via microSD card.